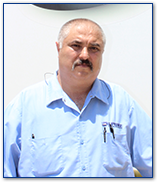 At Updike Distribution Logistics, we’re not just another company focused on getting drivers in the door. We’re bona fide driver-friendly, striving to meet the needs of our valued driving associates first and foremost. We are a genuine regional carrier servicing the Southwestern United States, including Arizona, Southern California, Northern California, Nevada and Utah, with terminals in each area. If you are tired of not getting enough miles, dealing with labor-intensive freight, laying over, and being away from home, we’ve got you covered. 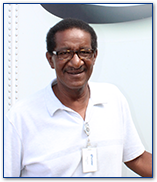 UDL is a family-oriented, financially stable company, able to get its driving associates the miles needed and back home every week to spend time with loved ones and relax. All of our power units are newer and well-maintained. All equipment issues are dealt with immediately. We are strictly a truckload, dry van freight carrier, so there is no hassle in dealing with multiple stops, refrigerated trailers, or hazmat freight. We offer competitive pay with annual reviews and increases, comprehensive benefit plans, referral bonuses, a company-matching 401K program, safety bonuses, and paid time off. So if you want to be a member of our extraordinary team, you are safety conscious, and have at least two years of recent driving experience, we’d love to talk to you. To apply, simply click this link, complete the form, and click the Submit button. You’re also welcome to come on down and see us! And please don’t hesitate to call us at 602-682-1768 or email us at drivers@updikedl.com for more information! 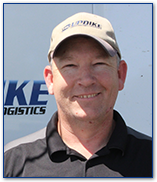 Updike DL has openings in our trucking division! Contact us today to learn about our trucking division, or to become a driver for us. Our trucking jobs and benefits are amazing!